Unit Studies that are packed full of learning and fun. We have just finished up two unit studies, having used John Adams (a one-week study) and Pioneers (a three-week study). 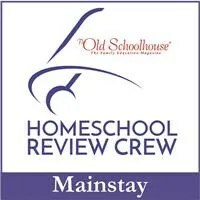 Homeschool Complete is a curriculum choice that has seen success. Created by Debra Arbuthnot, these studies are what she used to homeschool her own children. Her children have now graduated college and she is sharing her successful curriculum with others. In addition to her family education, Mrs. Arbuthnot has 27 years in public and private education. Homeschool Complete offers stand alone unit studies, complete year-long curriculum options, reading curriculum, and bundles of these products. Visit the website to take a look at all that is offered. During this review period, we used two of her unit studies – John Adams and Pioneers. These studies are set up on a four-day per week schedule but you can adjust it for five-day weeks if that is what you do in your home. Alternatively, there are some suggested activities and reading that would allow to you go further with the study if you would rather do that on day five of your week. Each study includes all of your core materials – reading, writing, math, science, history, fine arts, and PE. Every day does not include all of these areas but most are covered every day. To complete everything on each day’s activity list take around 2 -3 hours, depending on how much you adjust and your own children. We skipped the math in both of the studies because our daughter is at a different place in her math skills than these studies include. Even with that, we often spent an hour and a half – 2 hours on the study each day. If you are a bit intimidated by the thought of covering everything with one study, have no fear. There are pages at the beginning of the study on how to use the study and the guide, how to approach teaching new skills, and tackling calender time if you use it in you home (it is included in the study). There is a complete skills list and a complete materials list, including having it broken down by lesson, at the beginning of the PDF. John Adams is a one week long 54-page unit study covering, you guessed it, John Adams. In this 3rd-4th grade level study, there were picture books to read and discuss, writing activities, historical adventures to learn, biographies to read, weather to talk about, and so much more. From singing patriotic songs and doing some physical activity to working on workbook pages (included in the download of the study), there is a variety of activity for each day. We did have to make a trip to the library for this study to get the picture books, but, hey, we love trips to the library! We found the main picture books for the study, as well as couple of additional ones to keep around. We also substituted the chapter book for out-loud reading because it did not correspond to the study and was a character my daughter did not like. We gathered a few supplies, like crayons and pencils and the printed worksheet, and started off. Each day we would work through a picture book. Then we would work through the activities for the day. These included working on contractions, recalling information from the book, reading a non-fiction passage and writing answers to questions over it, creating art work to go with an event, creating a Venn diagram to compare two people, writing paragraphs and poetry, and movement activities. By the time the week was out, we had a pretty good grasp of the life of John Adams, his wife Abigail, and the work he did as President. It was a good study. Pioneers is a 3-week study for grades 3 through 6. At over 150 pages, it is packed with all your core materials and a bundle of activities to help your student experience life on the prairie. This study has a main book – Little House on the Prairie – that you will need to obtain separately. With the addition of a few materials for activities such as baking vanity cakes or making ice cream or growing crystals, you’ll have three weeks of fun reading and activity to learn about life during the pioneer times. I did much of the reading out loud for Little House and then we used it as the jumping off point for the lessons after that. There are comprehension and discussion questions to go along with each reading of three to four chapters. Then there are worksheets, included in the PDF download, to further thought and practice writing. Each worksheet has some cursive practice and some words to work with in reading, spelling, and/or alphabetizing. Most have a short passage to read and then answer questions about, practicing full sentences. In these, we discussed weather, grasshoppers, and temperatures, to name a few. Miss J created graphs, mapped travel, labeled parts of grasshoppers, practiced reading charts, and worked on the long jump. She also work on music rhythms and time signatures. Each day was a new variety of things to do and ways to do them. It was a good variety and kept things fun and interesting for her. We were able to take a couple of the activities and modify it to be able to go outside and work when the weather was nice. We found this study to be very adaptable and easy to use. With everything included for you, you can use just this study and feel confident that you are covering plenty of material with your child. The unit studies are so full of activity and learning! You won’t be disappointed. Do recognize that your child may fall at a different understanding level for some of these. For example, the Pioneers study is listed for 4 different grade levels. There is no way the math in that study can work for all 4 levels so be prepared to adjust for your own students. But that is the beauty of these unit studies. They are so full of activities, that skipping a few things or modifying them doesn’t diminish the quality of the study. It still is full of core study activities centered around a theme. Some of the activities don’t quite fit clearly into the theme but that is to be expected when you are trying to create a truly comprehensive unit study. An example is that for PE one day, there was a discussion of flexibility. Not a bad item to discuss and the activity was kind of fun for my girl but it didn’t really fit into the theme. Doesn’t matter – we covered PE that day! All in all, I really like these unit studies. They are packed full of materials, ideas, and activities to keep the students engaged and interested. They material is flexible and can be adjust easily as needed to fit your family. There is enough material included in the downloadable PDF files that you wouldn’t miss it. You can even choose to pay for the unit study to be printed and shipped to you if you would prefer that route. COUPON AVAILABLE: Use the code CREW2019 and can get 10% off your order until 3/31/2019. A while back, we also used the unit study on Soccer. I did not write a review here on my blog for it but you can find it on the The Old Schoolhouse Product Review page. Homeschool Review Crew families have used a number of the unit studies as well as different grade levels of the All-Inclusive Curriculum. Please click through the banner below to visit the main post to read more reviews of Homeschool Complete. I love the idea of using the eboard instead of the worksheet. We have one of those somewhere and now I just need to find it! She has loved it, probably because that is just something different. I’m all for different and keeping it new and interesting.